That History is a useless and boring collection of names and dates is one of those careless statements of foolishness that one overhears occasionally and which immediately marks the speaker as an illiterate member of democratic society — a grave deficiency from my point of view as a historian, teacher, and concerned citizen. In this essay, I intend to define exactly what history is and why it is important. This is the result of the inquiry (historia) of Herodotus of Halicarnassus, published so that time may not erase the memory of past events from the mind of mankind, so that the great and marvelous deeds of the Greeks and the barbarians should not be without fame, and especially to explain why they fought against one another. Herodotus collects this information so that it will not be forgotten, so that both Greeks and the Persians be rightly honored for glorious deeds, and, most importantly from the historical point of view, to try to understand the causes behind the conflict. While the Histories remains almost as much a work of literature as of history, Herodotus lays the groundwork for a rudimentary systematic method of recording past events. Thucydides, writing soon after Herodotus, and contemporary with him, composed his History of the Peloponnesian War, which has been the obvious foil for Herodotus’s work ever since. Thucydides was an Athenian general who personally fought in the Peloponnesian War until he was exiled for losing a strategic fortress in 423, whereupon he began recording a history of the war while it was still being fought. Already we can see Thucydides taking a dig at Herodotus with that last line. Thucydides would have considered himself a more rigorous and scientific historian than his predecessor, and most critics since at least Cicero have agreed. In Thucydides, we are focused solely on military and political matters, in a straight-line and chronological order. He goes to pains to show that he presents the only the facts or the most likely interpretation of the facts when there is uncertainty. He even tells us he basically made up the speeches when he could not remember them or according to what he thought they should be. Still miles ahead of Herodotus in terms of modern historiography. Thucydides has been appreciated for centuries due to his apparent realism, or Realpolitik, and experienced a resurgence in military study before and after the World Wars and the Cold War. In Herodotus, however, we find something that Thucydides lacks. In Herodotus there is much less focus on politics, and the military encounters are more exaggerated and less detailed, with the occasional involvement of the gods à la Homer. But Herodotus takes us on a literary and anthropological journey that surely would (and perhaps did) make Thucydides blush. He traveled far and wide interviewing people and seeing different cultures and lands for himself. The result is a book which remains the most important ancient source on the Persian empire. In one case, Herodotus spends the entire Book Two on a description of Egypt, its history and customs, and flora and fauna (though his report of the crocodile and hippopotamus reveal that he certainly did not see them first-hand). This chapter is also one of the founding documents of the field of Egyptology. In another full chapter we are told all about the customs and geography of the area north of Greece called Scythia, one of the best sources for these mysterious people as well. Other things he includes are India and its culture, Arabia and its culture and spice-collecting method, and any number of other interesting anecdotes and digressions. Herodotus, more than a historian, is a master storyteller who keeps us entertained while giving us his own brand of history. Some of my favorite sections are the tale of Gyges and the magic ring of invisibility, the tale of Solon and Croesus, and the debate between Darius and two other Persian lords about which type of government the empire would have (obviously in Herodotus’ version democracy is the winner). The Italian historian Arnaldo Momigliano, until his death in 1987, was considered one of the world’s experts in ancient historiography. In a 1962 lecture he described the “Herodotean and the Thucydidean Tradition” as a contrast between two models of history writing. As much as Herodotus was called the “father of history”, his was not a model much appreciated at all until periods of reemergence during the Enlightenment, and intermittently since then. Thucydides has always been the model of strong political and military history writing. Momigliano emphasizes that Thucydides intentionally undercut Herodotus this way from the beginning, by putting himself between Herodotus and his readers, and getting the “lying Herodotus” motif off the ground. Herodotus painted a broad canvas with features of culture, religion, anthropology, sociology, geography, mythology, and, to a lesser extent, war (and its traditional mythical, classical, glorious, and heroic–that is to say, pre-modern–manifestations). Thucydides focused solely on the present, with little need for any past history outside of the immediate causes for political and military behavior. For him, like Lord Acton, history is present politics. Herodotus is a humanist and a preserver of civilization, which is a “hedge against human mortality” as Momigliano describes. Thucydides’ central concern is the use of human power by means of politics and war. These are the two broad categories of historiography that still characterize the field of history from its inception to the present day. One of the skills of mankind, homo sapiens (“wise man”), is to divide the world into patterns and divisions in order to understand things better (or at least more easily). The observation and description of various patterns in the world does not necessarily make them true; in fact, these observations and descriptions can only ever be theoretical and incomplete facsimiles of the real “thing-in-itself”. This goes for every field of human knowledge, as much for philosophy as the natural sciences, as much for psychology as for history. It is rare that we would ever be so bold as to consider any of the various competing theories in any field as “true”; better to consider them variously “true for a certain time, place, or person”, or more “useful” for a particular purpose or need. In philosophy I would not consider anything to have ever been “solved”, and there are things to praise and criticize in the “Platonic” versus the “Aristotelian” view, or in the “Analytic” versus “Pragmatic” view. It seems like there are as many different views as there are people who express them, which would make each one “idiosyncratic” and true for each person’s understanding of things (at least, according to a pragmatist). In psychology, there are obviously still many proponents of either the “Freudian” or “Jungian” schools, or their less venerable rivals. In every field of human thought we find such competing perspectives, methods, and aims. History is no different. In addition to Herodotean (cultural) and Thucydidean (political) emphasis on history writing, let us spend the rest of this essay mentioning some other various categorizations of history, and what we can take from the reading of history in general. One debate about history is whether it is an art or a science. Seconding the former, we have Schopenhauer saying “There is no general science of history. History is the insignificant tale of humanity’s interminable, weighty, fragmented dream.” Though not so pessimistic as that so-called “philosopher of pessimism,” many of the great historians’ fame and greatness — Gibbon, Macauley, Durant, Mommsen to a certain extent — rests on their style or “art.” These characterize the more popular, general, and broad surveys of history which must be above all readable and interesting: works of art rather than science. On the other hand, we have various proponents of the science of history, which begins with the philosophical views of Hegel and Marx, appears after World War One with writers like Spengler, and has characterized some of the modern academic and scholarly study of history, such as with Huntington and Fukuyama. Despite their pretenses, I think we would find that no one has yet convincingly proved history (or economics, for that matter, despite Marx, Keynes, and Friedman) to be a science, though the attempt to do so typically makes it more immutable and less interesting. As far as I’m concerned, science can facilitate history writing, especially in regards to archaeology, numismatics, epigraphy, dendrochronology, etc., but the historiography itself is an art. History has also been seen through the eyes of either its great individuals or as societies writ large. The former case is most purely expressed with biography, from Plutarch, Caesar, and Suetonius onwards. From a certain point of view, the lives of history’s great individuals can illustrate a great deal of the history of a certain time and place. As Harold Bloom points out, “History, to Rilke, was the index of men born too soon, but as a strong poet Rilke would not let himself know that art is the index of men born too late.” This is the traditional view, but it has more recently been superseded in the academic world by cultural or social history, especially from the points of view of previously marginalized groups such as women, minorities, and non-Western peoples and tribes. Surely if our goal is to learn more about a particular society or culture, we would not read “traditional” books like Caesar’s On the Gallic Wars but something more modern (or post-modern) like Howard Zinn’s A People’s History of the United States. Once again, the point is not which is correct or more correct, but which is most useful for helping to understand the past better from all points of view. Then there the question of whether the historian equates his work with an unalterable “truth”, or whether he admits that it is but one of the various versions or “perspectives” of truth. Whether there is such a thing as absolute truth is an unresolved philosophical argument. Truth is an unintuitively difficult concept to pin down, and the dichotomy in this case is similar to that of science versus art. Let’s take an example: that Napoleon crowned himself emperor in 1804 is not a fact which reasonable people will dispute–it represents “truth.” But despite those who stopped paying attention in high school, history is not a concatenation of names and dates that somehow embodies everything that ever happened in the foreign world of the past. The key to historical understanding is nuanced interpretation of cause and effect. To use the terms of a grammar debate, history is “descriptive” rather than “prescriptive.” The way in which truth is hard to pin down is not in the facts themselves, but in the perspective used to describe, interpret, and explain the facts which comprises the changeable, imperfect human aspect of history. If we say “the Americans won a victory over the British at Yorktown,” it tells me one single fact, but does little to explain who the Americans and British are and what they represent (as if there were one wholesale Platonic ideal of “Americans” or “British”). History is thus beholden to the historian to give perspective, which is an art and not a science, and interpretation, which depends on the historian’s philosophical or political bent. Perhaps it is worth mentioning, if stretching the metaphor a bit thin, Isaiah Berlin’s essay on the hedgehog and the fox. The fox is the person who knows many things; the hedgehog knows one thing very well. Written to discuss the merits of Russian novelists (Berlin classifies Dostoevsky as the quintessential hedgehog, and Tolstoy as the fox who wants to be a hedgehog), I think we can roughly describe Herodotus as a fox, while Thucydides is nothing if not a hedgehog. So what can we take from all of this theory, all these perspectives of history? I think, paradoxically (and hypocritically), the awareness of theories and philosophies of history is not itself an end, but only at best a means to an end for certain readers with a certain intellectual sensibility and too much time. The point of reading history is, to my mind, to enrich one’s mind, raise awareness of our shared humanity, and understand how the past still affects the present. Studying History makes, or allows, one to think about the world in multifaceted ways, which should be seen as a requisite for living in a multifaceted world. “The past is foreign country: they do things differently there,” according to the writer L.P. Hartley. “History is past politics, and politics present history,” according to historian E.A. Freeman. “ I have but one lamp by which my feet are guided, and that is the lamp of experience. I know no way of judging of the future but by the past,” according to Gibbon. Last month, four winners of the prestigious, joint-Swiss/Italian Balzan Prize were announced. One of them was Princeton University’s Peter Brown, an Irish scholar of Greco-Roman and Mediterranean history. The prize, which will be awarded in Switzerland on November 18, provides each recipient with €670,000, of which at least half of this must be used to support research work for younger scholars and researchers. Why would a historian receive such a large prize, and why haven’t you heard of him before? Let me tell you these answers, and why you, too, might be interested in his work. Peter Brown is a very influential scholar credited with having created the field of study referred to as Late Antiquity (250-800 AD), the period during which Rome fell, the three monotheistic religions took shape, and Christianity spread across Europe. 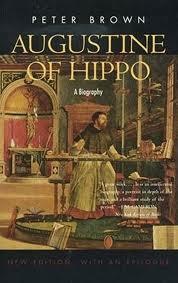 His first book, Augustine of Hippo: A Biography, appeared in 1967 and established him as an important scholar at the age of 32. It was highly praised and seen as an authoritative treatment of the Christian thinker. A revised edition appeared in 2000 which looked at recently discovered material by Augustine and also provided Brown’s updated worldview looking back as an older man at his youthful work. “I did not conceive of my biography of Augustine as a contribution only to the religious history of late antiquity…Religion without Society interested me not in the least.” This shows the importance of the idea of ‘synthesis’ of different, divergent aspects of life when looking at any period of history. The World of Late Antiquity: AD 150-750 was published in 1972 and created new interest in this previously over-looked period of history. Edward Gibbon’s Decline and Fall of the Roman Empire, first published in 1776, established the view that Barbarians and Christianity were the two most important factors in bringing about a violent end to the greatness of Rome, followed by almost a millennium of the “Dark Ages”, before the ‘light of learning’ was rekindled in the Renaissance. This narrative has remained dominant among historians until fairly recently. 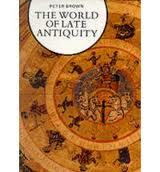 Peter Brown was an instrumental force in bringing about an alternate view of this period he had newly christened ‘Late Antiquity’. His vision is not one of destruction and darkness, but of dynamic transformation. His works are based not around political and military events, but around ideas like ‘continuity’, ‘synthesis’, and ‘transformation’ in other, non-traditional themes. This has opened up a whole new world of scholarship, and his historiography focuses not so much on political and military events in the ‘Thucydidean’ manner, but also synthesizes cultural, social, economic, anthropological, and religious themes together in a more ‘Herodotean’ tradition (a dichotomy discussed by his mentor, Italian historian Arnaldo Momigliano). “An ancient world in which neither Judaism nor Christianity had any place could not be anything for me other than a bright but insubstantial dream. Only the ancient world in its fateful last centuries could explain the world in which I myself lived–a Protestant in an Ireland dominated by a Roman Catholicism which claimed direct continuity with the post-Roman, medieval past, and a boy who looked always to the Middle East where his father worked and where the ancient monuments of Egypt and the ruined cities of Hellenistic and Roman times stood in the midst of what are now Muslim societies.” This shows the importance of the idea of ‘continuity’ on his historical worldview, and how his studies of Greek were more focused on the New Testament and the origins of Christianity rather than the polished, but bygone, world of Classical Athens. His move to California from Oxford in 1978 was a strange and refreshing change for him. In England he was used to a ‘rigid system’, ‘compartmentalized’ and with a ‘horror for the obvious’. At Berkeley, he was able to catch up with the ‘obvious questions’ like “Why did paganism come to an end?’ and ‘What caused the rise of the Christian Church?’ He also began to examine the social and sexual lives of ‘normal’ people at a time when sexuality was a popular topic in America. All his books examine other under-studied themes in this time period, such as the role of saints and holy men, the body and sexuality, and wealth and poverty. In his treatments of sexuality in The Body and Society, he was also influenced by his friend, the French philosopher Michel Foucault (who had written the three-volume History of Sexuality). He moved to Princeton from Berkeley in 1986 and fell in love with the libraries there. They were a great inspiration for him and he dubbed Princeton “the footnote capital of the Western World” because of the superb erudition of the historical and archeological libraries. “He is one of the very few scholars now alive who have, in effect, invented a field of study. That field, the burgeoning one of late antique studies, has since become an expanding galaxy of scholarship in history, religion, literature and much more for which Brown’s work provided the initiating Big Bang.” This quote from the introductory remarks to his 2003 Haskins Lecture “A Life of Learning” shows his influence on modern scholarship. Brown has received numerous awards and honorary degrees, and is a member or fellow of many societies and academies on both sides of the Atlantic. He reads at least 15 languages (including Old Norse, Syriac, and Coptic), and teaches highly popular courses at Princeton on the history of late antiquity, Byzantium, and the Early Middle Ages, such as “Understanding the Dark Ages”, “Saints and Sinners in Early Byzantium” and “Civilization of the Early Middle Ages”. Learning about the past through the study of history is crucial if we want to understand our modern society and the issues that confront us. While Classical Greco-Roman history is fascinating on the whole, the most interesting aspect from my point of view is the slow decline and ‘transformation’ of the Roman empire into a series of European and Middle Eastern states, based around new religions, that still dominant our culture and society today. 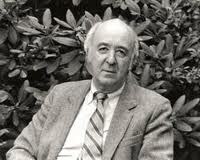 No one has had more influence in this field or written with as much erudition as Peter Brown. His award is well-deserved, and will hopefully help to raise awareness about the important events of the past in order to better understand our place in the present. “The Favorites of the Emperor Honorius”, J.W. Waterhouse, 1883. 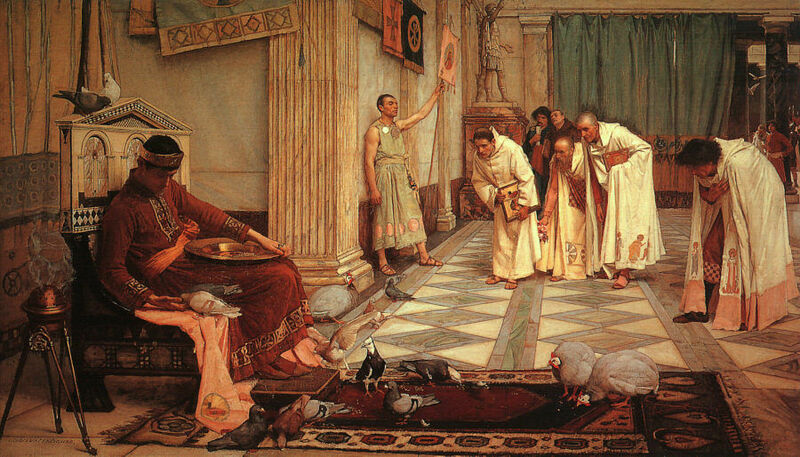 Shows the sense of moral decadence of 5th-century Rome as traditionally viewed by 19th-century England.